you have no idea how badly I could use this money. thanks so much! pick me, please please pick me. I’ve never seen this gift card before–cool! Woohoo. Target giftcards are the best! Thank you for another give away! Oh my! How adorable…hoping this is my lucky week! I also like TT on FB! Thank you to you, I have been able to do the unthinkable today. Walk out of Target with a cart load of things for under $30 out of pocket. THANK YOU!! thanks for the opportunities for winning! Greatly appreciated! That is the cutest gift card ever! Luv gift cards! Thanks for a great giveaway! Love your site! Thanks for all the giveaways! I don’t know what’s better- the toy or the Target $. SO awesome! Would be fun to have. I ‘like’ TotallyTarget on facebook! 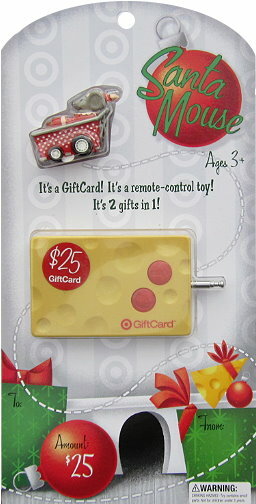 How fun is this giftcard! Shop then play! Good thing I’m over age 3. Win! Win! I hope I win. This site has helped me to save tons at target. Thanks for such a fun site.